This work reports an efficient visible and UV-light-activated boron and nitrogen codoped TiO2 porous film prepared via a “green” and direct coating approach. Such photocatalyst is highly promising for solar depollution application due to its efficient photocatalytic activities in both visible and UV spectrum. The preparation method avoids the use of organic solvents, which are usually more expensive and hazardous compared with water. 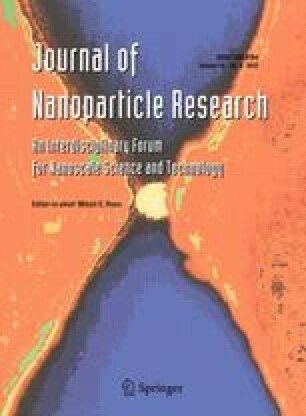 Using stearic acid as the model organic pollutant, the visible-light photocatalytic activity of optimized porous B–N-codoped TiO2 film (p-3B–N–TiO2) is 3 times higher than that of porous N-doped TiO2 (p-N–TiO2) film, while its UV photocatalytic activity is almost double that of p-N–TiO2 film and comparable to that of porous TiO2. The enhancement in photocatalytic activity is attributed to higher surface area due to the porous structure, improved visible-light absorption attributed to interstitially substituted boron atoms, and coexistence of boron and nitrogen dopants which may reduce Ti3+ recombination centers. T. T. Y. Tan—lead corresponding author. Financial support from Nanyang Technological University AcRF Tier 1 RG29/07 is acknowledged.